Fall is in full swing here. The leaves are changing beautifully, the air is chilly, and I got in the mood for a good hearty soup. With the amount of hours I’ve been putting in at work lately, I’ve been eating out a lot (not only do I not have time to cook, I also get dinner reimbursed by the firm if I work more than 10 hours on a week-day and 4.5 hours on a weekend — so I haven’t paid for dinner in weeks). 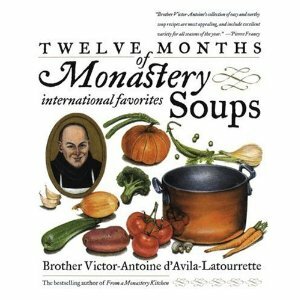 Toward the back (in December), I found a recipe that matched most of my ingredients: A Hermit’s Soup. 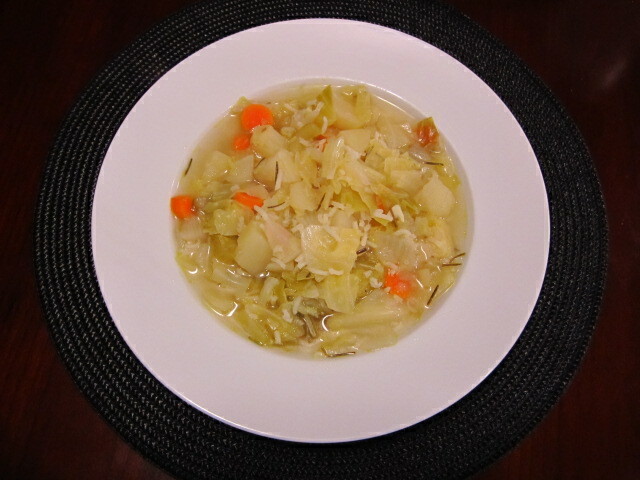 The recipe calls for cabbage, potatoes, turnips, carrots, onions and rice; I threw in celery, chicken broth and garlic. It was fresh, hearty and delicious, and I’ll have leftovers to hold me through the week. Best of all, chopping all those vegetables gave me a long time to talk to Ashley on the phone.